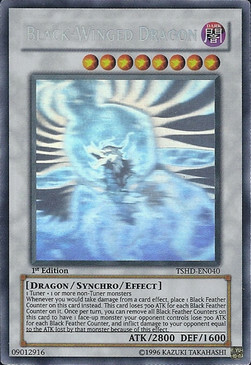 Whenever you would take damage from a card effect, place 1 Black Feather Counter on this card instead. 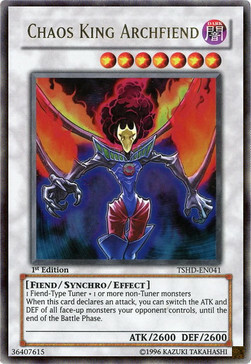 This card loses 700 ATK for each Black Feather Counter on it. 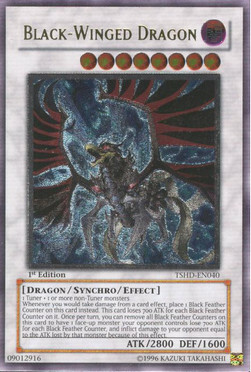 Once per turn: You can remove all Black Feather Counters on this card to target 1 face-up monster your opponent controls; that target loses 700 ATK for each Black Feather Counter you removed, and inflict damage to your opponent equal to the ATK lost by that monster because of this effect. Dalla bustina non si nota, ma sul retro c'è una piega su un angolo. Bordi usurati. EX+ SHIPPING IN BUBBLE WRAP ENVELOPE! Cheap prices - very fast shipping !